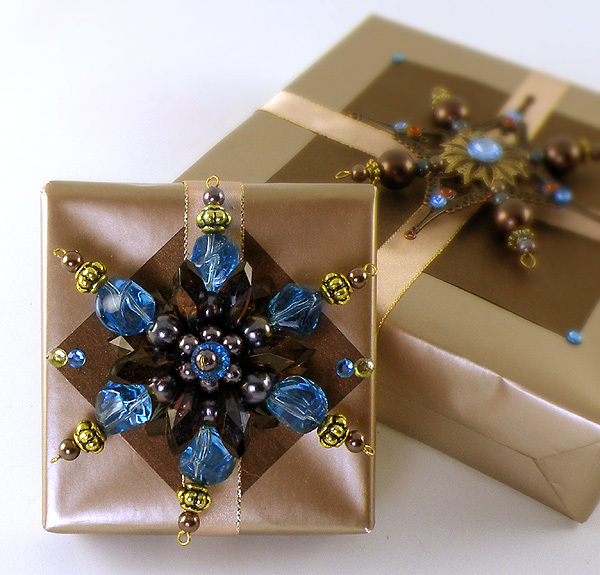 Anyone who is familiar with my designs knows that I usually do not decorate gifts with bows. I used to think that in order for a gift to look like a gift, it had to have a big bow centered in the middle of the box. Although I have some designs on my website with large fluffy bows, I have changed my style to use things other than a bow to accent my gifts. It also takes so much ribbon to make a big bow which adds to the cost of wrapping a gift. 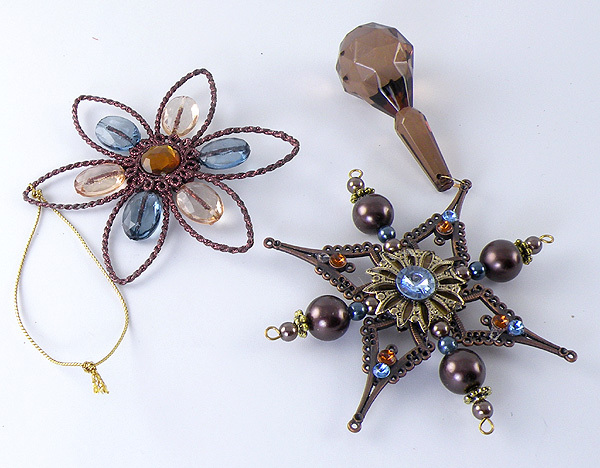 I just feel that there are so many more interesting and unique items that can be used to embellish a gift. I bought these ornaments on sale from Michael’s. I love to decorate gifts with ornaments. 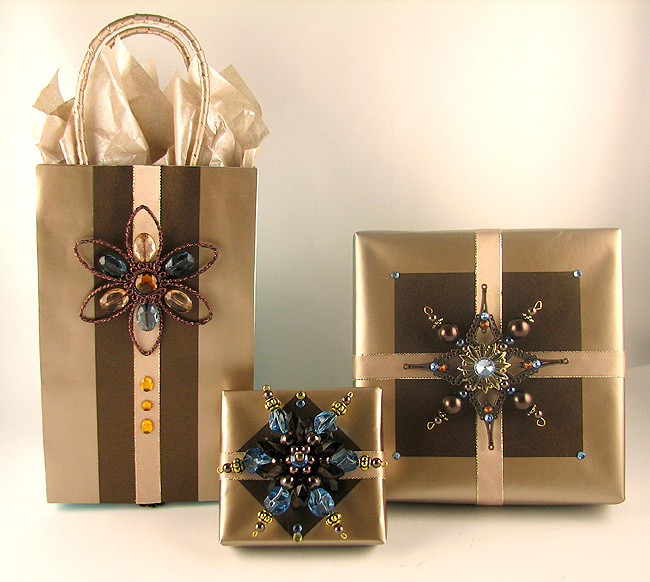 I find inexpensive ornaments at the craft store to create an elegant and dramatic gift wrap. 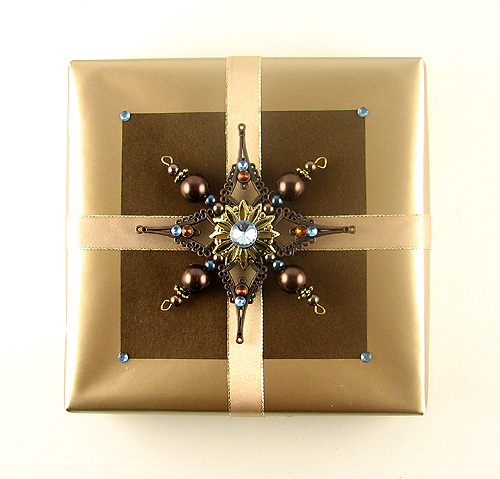 It also becomes part of the gift because it can be used as a real ornament after the present is opened. Also, if you are changing your tree decor, you can use ornaments you already have to add to the gifts. The nice thing about using an ornament as the accent piece is you don’t have to do much else to decorate the gift. 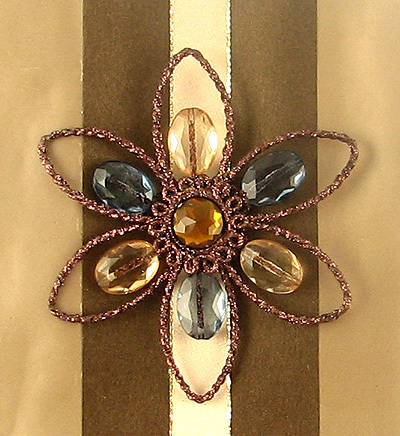 In this design, I just layered some pieces of decorative paper and you have a beautiful gift that will definitely impress the recipient. 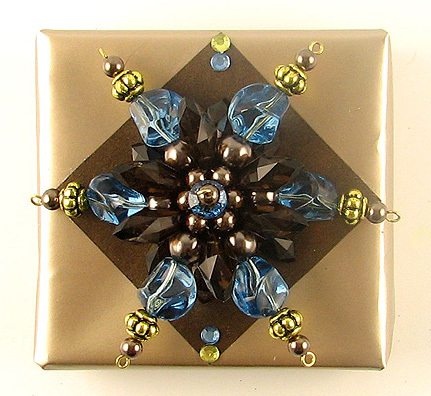 This entry was posted in Crafts, Gift Wrapping and tagged bows, christmas, gift wrapping, Gina Tepper, Holidays, michaels, ornaments, winter. Bookmark the permalink.